Thank you to Breanne for emailing us with a recommendation for Twist Bakery & Cafe. She said they have excellent allergy-friendly and vegan options. Indeed, their bakery is free from gluten, peanuts, tree nuts (except coconut), and soy (except soy lecithin). And most of their items are also free from dairy or have a dairy-free option. They also clearly label egg-free and vegan choices. 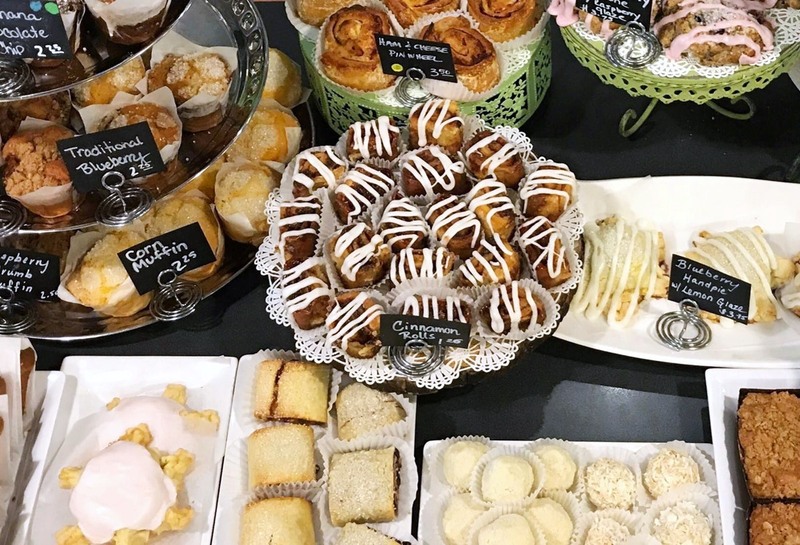 Twist Bakery has a wide selection of daily gluten-free sweets, from cinnamon rolls to cupcakes. But be sure to check which are dairy-free or vegan, for your needs. They also bake fresh bread for their wide array of sandwiches, burgers, and paninis (optionally dairy-free). And they have made-from-scratch soups which are always dairy free, unless otherwise noted. Hey Buddy!, I found this information for you: "Twist Bakery & Cafe in Millis is Rolling in Gluten-Free, Dairy-Free Dough". Here is the website link: https://www.twist-bakery.com/twist-bakery-cafe-in-millis-is-rolling-in-gluten-free-dairy-free-dough/. Thank you.